Pregnancy can be a rough time, I have first hand experience of that! I've tried to find a few little items this time that help make things a little easier. Of course my first personal thing would be my sickness tablets. Without them I'd be a mess and honestly some days I still am but they help me cope with my HG. This time around I've used a few different products to help with some other symptoms. My favourite item has to be the Colief Mum To Be Cream. I truly believe that stretch marks are something you can't prevent, I feel like if you are meant to get them no amount of creams will help but saying that keeping your stretching skin supple and moisturised is going to help. This cream is my favourite this pregnancy. Its rich, moisturising but not sticky. Drinking loads of water also has great effects on the skin too. Pregnancy can be rough on your mind as well as your body. A lot changes in what is quite a short space of time. If you already have children it can be hard to actually relax and enjoy the pregnancy as you are always busy doing something. The Yoga and Mindfulness for Pregnancy and Birth dvd is a great way to focus on you and baby. A lovely way to relax and calm yourself through pregnancy and birth. Another product that has helped me out is Deep Freeze. Back ache can be a big problem in pregnancy. You gain extra weight you aren't used to carrying and the baby can add pressure on your body and ligaments making back ache a real problem. I've used the cold gel and the cold patches to help soothe my back and find them great. They are useful to have when Mark doesn't feel like giving me a back rub! Low iron can be a problem in pregnancy. I had low iron with Parker. It can be hard to find a good but gentle iron tablet. The Iron Vital M+ Chews are nice tasting and gentle on your tummy. They are available to buy from Healthy2U. 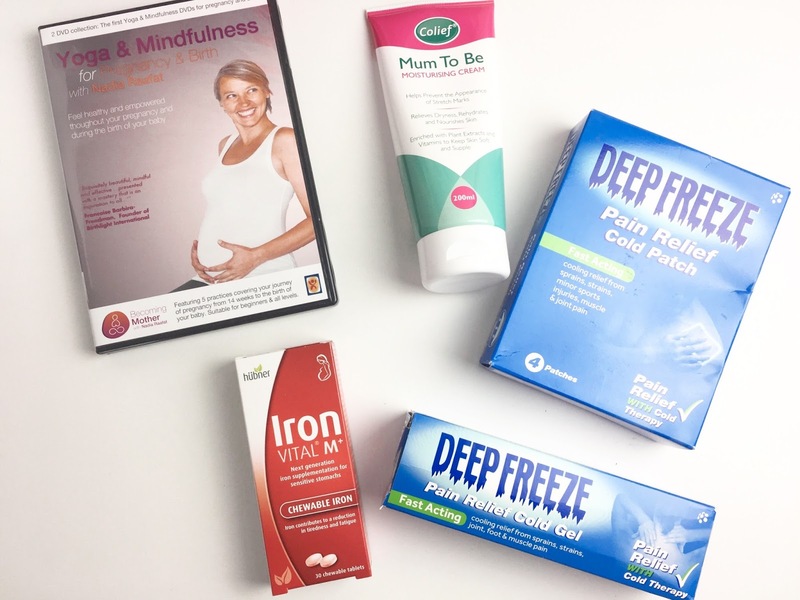 Have you tried and loved any specific products in pregnancy?